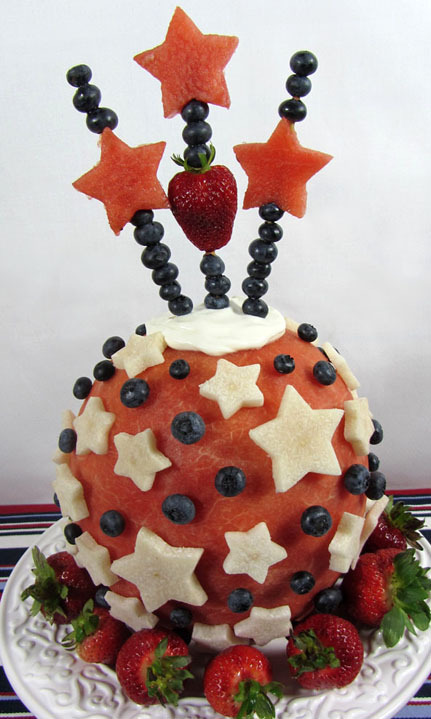 Of course any fruit will do to make a fabulously decorated watermelon cake. This is just one example. 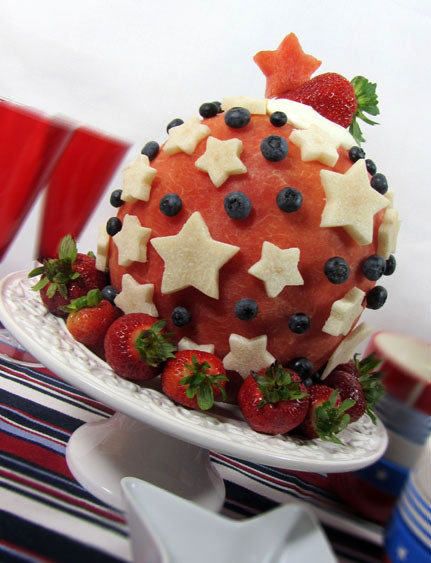 Ripe juicy sweet watermelons are abundant in July so this is a perfect time to make it a patriotic red white and blue. Tools needed: Star shaped cookie cutters & toothpicks. Cut the bottom end of the watermelon off just enough to remove the rind and set it on the flat end. Take a large knife and from the top start cutting the rind off all the way to the bottom. Cut a little at a time until you get just to the red meat of the watermelon. Keep cutting until the rind is completely removed. Peel the jicama with a vegetable peeler and cut the jicama with a large knife into approximately ¼" slices. Use cookie cutters to make a variety of star shapes. Place strawberries around the bottom of the cake. 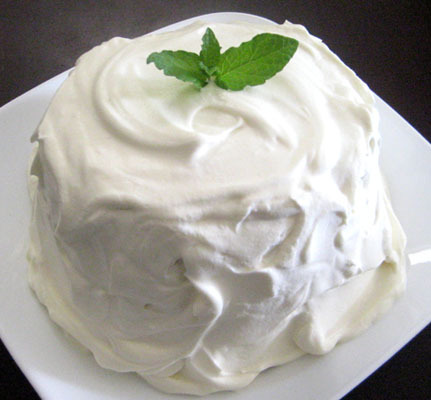 Place a dollop of whipped coconut cream on top with desired fruits. Be grateful for your freedom to choose and choose wisely. This watermelon cake is topped with real whipped cream sweetened with white raw honey and topped with mint leaves.